UnSpun Theatre is a creation-based theatre company that focuses on a collaborative, artist-driven, non-hierarchical approach to performance-making. We situate our work in the space between narrative and experimental storytelling, and between fiction and documentary. Led by Chris Hanratty and Shira Leuchter, UnSpun Theatre has been creating award-winning work since 2004. Our work is part of a series of questions that we continue to build on with each new piece; in this way our practice is truly generative. We are interested in how our personal narratives are shaped by our larger cultural narratives, and we often explore the convergences between the personal and political through an exploration of objects and material culture. Our work is tender but rigorous, delicate but exacting. Our work is an invitation to challenge the patterns of the everyday encounter: the objects, places and stories that define our shared narrative. In The Doras: 30 Years of Theatre, Dance and Opera in Toronto, theatre critic Jon Kaplan named UnSpun Theatre one of a handful of independent companies that "have given audience some of the most exciting work of the past few years." A writer and director,Chris has co-created many of UnSpun Theatre’s past work, including minotaur, Don’t Wake Me and One Block (Harbourfront HATCH program). His co-adaptation of The Tin Drum garnered 5 Dora Award nominations, including Best Director. He co-created and directed The Speedy, which premiered as part of Harbourfront Centre's World Stage. He was shortlisted for the Ontario Arts Council John Hirsch Directing Prize. Chris also works in film. His shorts Family First, Rung, and Robert's Circle have played at numerous international film festivals including the Worldwide Short Film Festival, Palm Springs International Film Festival, and Tribeca International Film Festival. Chris studied Drama and Film at the University of Alberta. Shira is a Dora-nominated actor, theatre creator and artist. She is the co-adaptor of The Tin Drum and co-creator of The Speedy, which was on the curriculum at the University of Toronto and the University of Windsor. Shira has performed with some of Toronto's most innovative artists and companies, including Cahoots Theatre, Convergence Theatre, fu-GEN, Native Earth, The Room and others. Her series for the Praxis Theatre Blog, Your Process is Showing, explored the theatrical process using visual imagery. Shira has created live art for companies including Praxis Theatre, Canadian Stage and The Room. 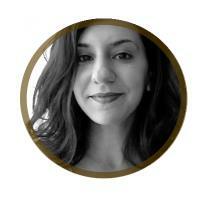 Shira is a graduate of the National Theatre School of Canada and the University of Guelph.